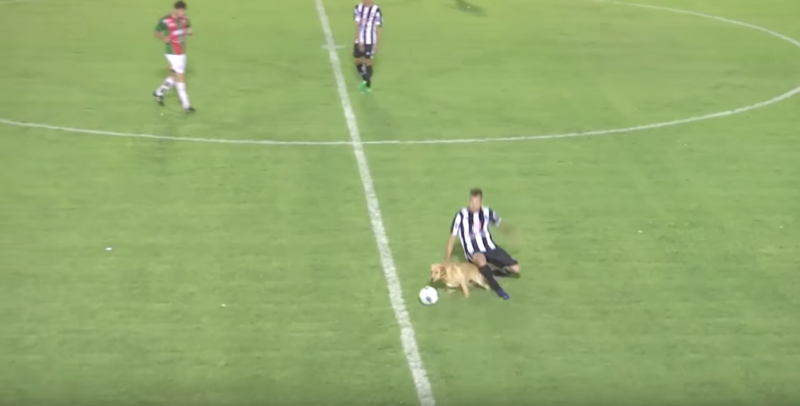 During a match between Central Cordoba and Sportivo Las Parejas in the Argentine third division, a dog not only invaded the pitch, but heinously tackled the man with the ball from behind to gain possession. It was a reckless challenge worthy of the red card that forced the referee to halt the match as the victim of the tackle was forced to carry his assailant off the pitch. Despite the sending off, the dog would reenter the pitch later in the match, acting as if nothing had happened. This time, the goalkeeper was forced to carry the uncooperative pup away.